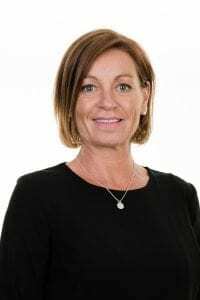 Sue is a divorce and family lawyer with Woolley & Co, predominantly based in Cornwall, but managing cases across the south west and also working in London. Further afield, she has clients from Canada to Australia, the Far East, Dubai, the Americas and Europe. She has expertise in all aspects of matrimonial and family law and specialises in the financial implications of family breakdown. Sue is recognised in Chambers as a Leading Individual and in Legal 500 Sue is listed as a Recommended Lawyer for Family Law in the South West. Legal 500 describes Sue as “an organised, skilled and proficient family lawyer”, who “understands the issues, sticks up for her clients, and is sensible to deal with”. Having personal connections with the Royal Navy, a good proportion of Sue’s work is referred through existing clients in the Armed Forces. “I have comprehensive experience in resolving financial disputes between divorcing or separating parties, I am often able to negotiate a successful outcome for my client without the need of court proceedings, which ensures a quicker more amicable settlement and with more certainty for the client as to the overall costs. That’s why I’m a member of Resolution, which binds me to codes of practice that ensure quick and effective resolutions. This minimises the negative impact that disputes often have on the parties. Clients often say they feel so much better having spoken with me, particularly if they have suffered frustrating delays with other firms. My cases are handled with the utmost priority to ensure a resolution as quickly as possible, relieving clients of the burden and worry of their current situation. Sue qualified as a Legal Executive in June 2004 and joined Woolley & Co in September 2008 from a firm in Truro.